This is an aluminum faced polyboard material that is weather resistant. With plastic score indicators which slide up and down, it keeps score easily up to 75. Plus and minus indicators on the bottom allow you to keep negative scores as well. Good visibility from opposite end of court. SIZE: 12" (wide) x 24" (high). 2) Chalk Tray: Plastic grid based ideal for saving CHALK from getting lost. SIZE WITH BAR: 22" (w) x 36" (h). Recommended for use on M1 Metalsite scoreboards. Writes clearly and visible from opposite end of court. 1" thickness makes it easy to hold and write. Available in 6 or 72 pack. Quietly cleans without raising dust. Glass beads are used to speed up disc travel on concrete courts only. This 3 lb, easy to grab, container comes complete with flip open lid and sifter cap. Ideal for even sprinkle distribution for consistent and increased disc travel. Sifter container can be refilled and used over and over again. 50lb bulk replacement bag is available. Note: Glass beads are extremely slippery and are not recommended to be used on multi-purpose floors where pedestrian traffic is expected. It is recommended to collect glass beads after each use with our BR soft bristled broom shown below. SIZE: 3 lb container & 50 lb replacement bag. Think (Bead) Safety First! See how fellow shufflers and facility administrators teach all participants, and enforce rules, about bead safety. Recommended for use on full size roll out courts and wood floor courts. 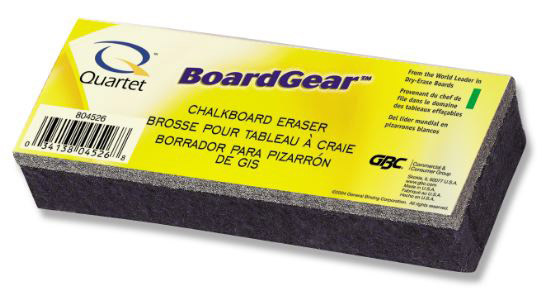 These plastic beads are non abrasive and therefore ideal on more delicate surfaces than concrete. These plastic beads are also known as SPEED beads. Safe for use on all surfaces: vinyl, wood, tile, concrete. It is recommended to use the Bevelled discs with the plastic beads. Wind Resistant - For Outdoors! These wind resistant plastic beads are mixed with a special silicone to give it that wet feel, and that is what allows the beads to stay on the court better in windy conditions. Safe for use on all surfaces: vinyl, wood, tile, concrete. This yellow powdered wax is recommended where traditional glass beads cannot be used due to pedestrian traffic or multi purpose floor use. These beads are easily collected because of their yellow colour and are also not as slippery as glass beads when walked on. This silicone spray is used when playing on the CP Deluxe plastic grid court. A quick spray to the bottom of each disc will enhance glide and travel. Special 6% silicone formula stays on discs longer and requires less than other brands. Also for use on Mini roll out court. 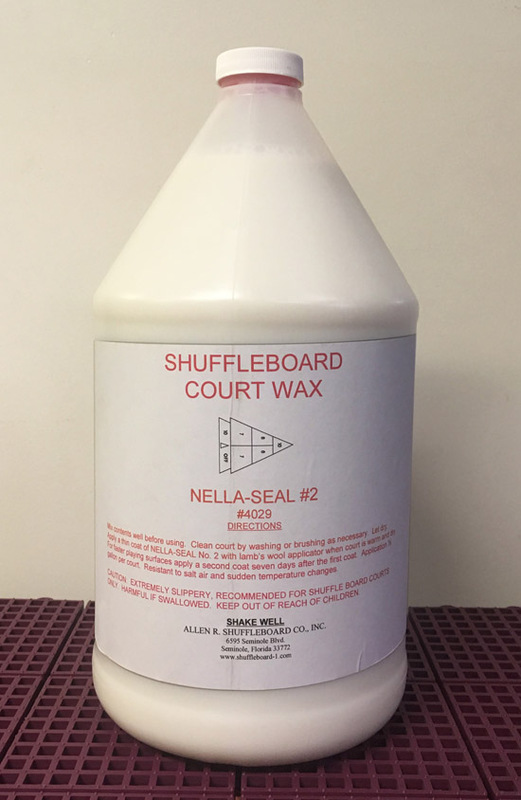 Can I use Silicone spray on discs for use on full size roll out courts? Rub the disc wax on the base of the discs to ensure a smooth glide across the surface of the court. Apply 6 vertical lines and 6 horizontal lines on the bottom of the discs for faster play. When to use wax stick? Seals, Protects & Conditions CONCRETE courts and full size Roll Out Courts so you play on the wax, not on the courts/lines for a better game. Resists temperature changes. Non-gumming, no buffing required. 1/2 Gallon will typically do one concrete court (or 1/5 gallon will typically do one vinyl roll-out court). Best to apply using our LA lamb's wool applicator (shown below). Pre-moisten applicator before applying. Use this high grade lamb's wool applicator to apply smooth even coat of NSW Nella Seal to concrete court. Recommended for clean up of glass, plastic or powdered beads used on courts. Dense, super soft bristles makes cleanup fast and simple. Soft bristles ensure broom will not scratch or damage any floor. Used for storing or transporting a set of 8 discs. Made of sturdy plastic with foldable handle for storage when not in use and for reduced shipping size. An excellent accessory and great gift idea. Used for storing and transporting a set of 8 discs. Made of well crafted solid wood with easy folding handle. A unique looking disc rack making it a great gift idea. Replacement head for the DOM-85C Institutional cue. Will fit 5/8" OD shaft. Replacement head for the DP-C Professional Cue and CC Continental Cues. Heads are plastic with long-lasting replaceable swivel runners (CR - see below) for excellent control of discs Fits on 5/8" OD shafts. Long lasting replacement swivel Big Foot runners for Big Foot head found on both the Tel-2 Telescopic Cue and BWC-09 Buggy Whip Cue. Runners are sold in pairs and come with required pins. Long lasting replacement swivel runners for CH head found on both DOM's DP-C Professional Cue and CC Continental Cues. Runners are sold in pairs and come with required screws and nuts. Long lasting replacement swivel runners for MCH head found on the TEL-1 telescopic cue. Runners are sold in pairs and come with the required split pins for installation. For those shufflers who prefer the Ball Runner style head. Provides excellent disc control. 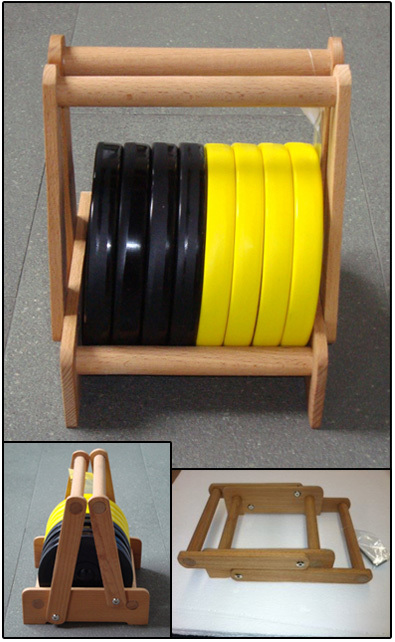 Ball runners are replaceable (see RH-R below). Fits 5/8" OD shafts. Replacement ball end runners for RH head. Ball runners are sold in pairs and simply screw on securely. Replacement DOM cue grip found on DOM-85C Institutional, DP-C Professional and CC Continental Cues.